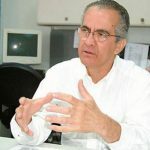 Scholars at Risk has called on the Venezuelan authorities to release and drop all charges against Professor Santiago Guevara, an economist from the University of Carabobo. Professor Guevara was detained on February 21, 2017, and later arrested, apparently in response to articles he had written that commented on economic conditions and political unrest in Venezuela. SAR’s letter can be found below and for download. I write on behalf of the Scholars at Risk Network to express concern over the arrest and detention of Professor Santiago Guevara, an economist from the University of Carabobo, apparently based on nonviolent expression. I respectfully urge you to reconsider any charges arising out of Professor Guevara’s nonviolent expressive activity, and to ensure that the case against him otherwise proceeds in a manner consistent with Venezuela’s obligations under international law. Scholars at Risk (SAR) is an international network of more than 450 universities and colleges in 34 countries dedicated to protecting the human rights of scholars around the world, and to raising awareness, understanding of, and respect for the principles of academic freedom and its constituent freedoms of expression, opinion, thought, association, and travel. In cases like that of Professor Guevara, involving alleged infringement of these freedoms, Scholars at Risk investigates hoping to clarify and resolve matters favorably. Professor Guevara, a 65-year-old economist who has taught at the University of Carabobo’s Faculty of Economics and Social Sciences for 42 years, has led economic development projects in Venezuela, and has frequently commented in the media on the current administration’s economic policies. SAR understands that on February 21, 2017, officers from the Directorate of Military Counterintelligence (DGCIM) reportedly visited Professor Guevara at his home in Valencia, where they served him with a summons instructing him to report to the DGCIM. Professor Guevara did so voluntarily later that evening, and was taken into custody. On February 23, he was reportedly brought before a military court and charged with “treason,” “incitement to rebellion,” and crimes against the “security and independence of the nation.” While the evidentiary basis for the charges has not been disclosed, Professor Guevara’s colleagues allege that his arrest was a response to his recent publications, and that DGCIM officers have questioned him specifically about his articles commenting on economic conditions and political unrest in Venezuela. We welcome any additional information that may explain these events or clarify our understandings. Absent this, the facts as described suggest that Professor Guevara has been arrested and detained as a result of nonviolent exercise of the rights to freedom of expression and academic freedom – conduct that is expressly protected under international human rights instruments including the Universal Declaration of Human Rights and the International Covenant on Civil and Political Rights, to which Venezuela is a party. SAR therefore respectfully urges you to direct the appropriate authorities to ensure Professor Guevara’s release, drop any charges against him that arise out of his nonviolent exercise of the rights to free expression and academic freedom, and, pending such actions, to ensure that the case against him otherwise proceeds in a manner consistent with Venezuela’s obligations under international law. We thank you for your attention to this important matter, and look forward to your response. On February 21, 2017, authorities reportedly detained Professor Santiago Guevara of the University of Carabobo in apparent retaliation for opinion pieces he had recently written in a Spanish newspaper.